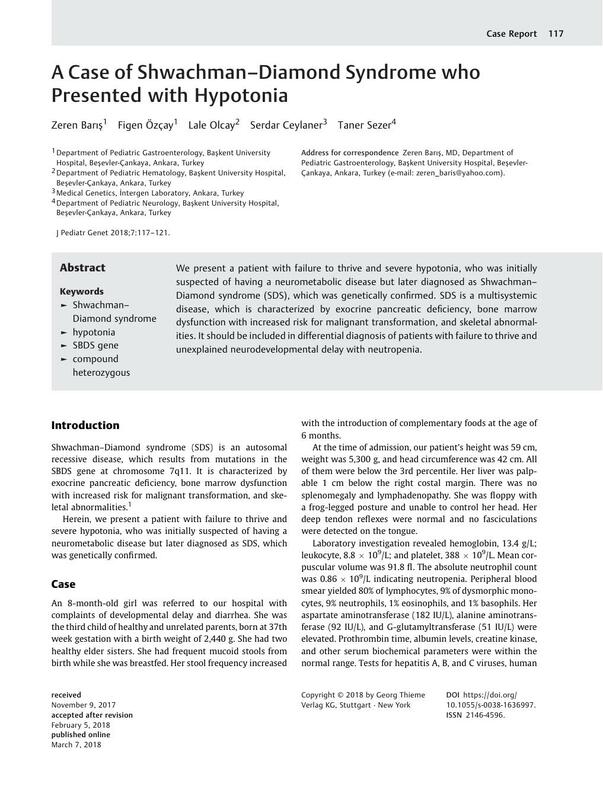 We present a patient with failure to thrive and severe hypotonia, who was initially suspected of having a neurometabolic disease but later diagnosed as Shwachman–Diamond syndrome (SDS), which was genetically confirmed. SDS is a multisystemic disease, which is characterized by exocrine pancreatic deficiency, bone marrow dysfunction with increased risk for malignant transformation, and skeletal abnormalities. It should be included in differential diagnosis of patients with failure to thrive and unexplained neurodevelopmental delay with neutropenia.